Here I have stretched the image vertically (the entire image, waveform and gridlines alike). This highlights the principle of proportionality – now that hte QRS is closer to normal size, the same proportion of STE strikes you as obvious. Persistent STE in V2-V5. The T-wave in V2 is now upright, signifying reocclusion of that territory’s blood supply. Q-waves becoming slightly more prominent, and there is no longer any R wave in V2. Reduced but persistent STE in anterior and high lateral leads, indicating reperfusion. 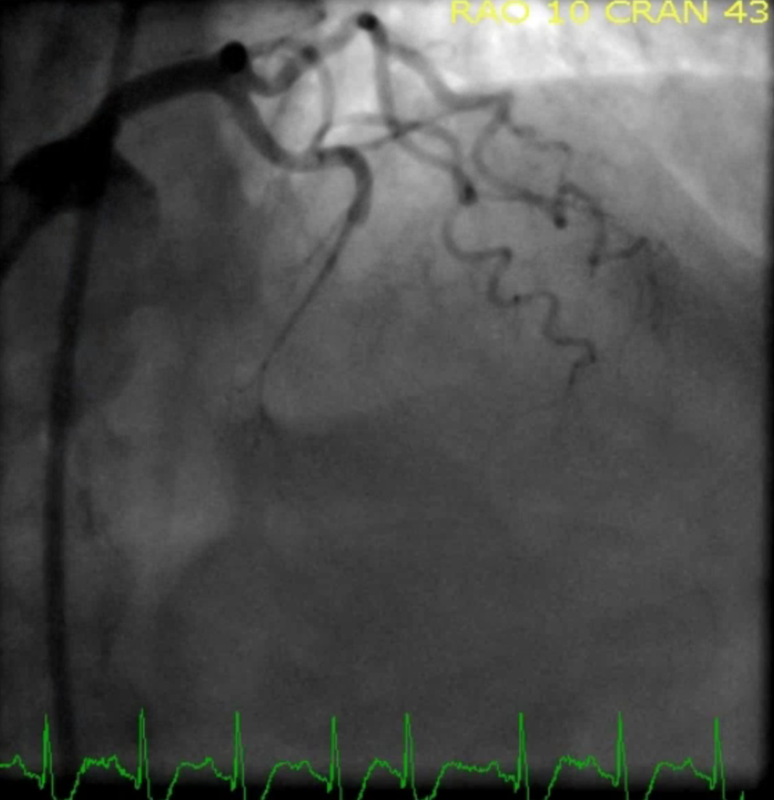 It may take hours or longer for the residual STE to disappear, or it may persist indefinitely (“LV aneurysm morphology). ANSWER: The reason I favor use of the memory aid, “Q–R–S–T Changes” as part of my Systematic Approach to ECG interpretation — is that doing so prevents me from overlooking which leads have Q waves — and — it prevents me from overlooking whether R Wave Progression is normal or not.